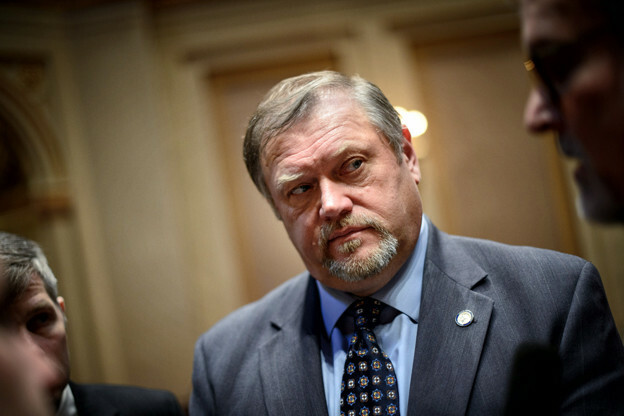 Indeed, at a Chamber of Commerce dinner last week, Bakk said redistricting is his reason for running for re-election in 2020. This must sound strange to a layman’s ears, who might guess that a lawmaker would want to craft education or health policy. Not so for Bakk. Faster population growth in the metro area means that greater Minnesota and the Iron Range in particular are likely to lose legislative seats after the 2020 census — and with it, political influence. Bakk wants to stop it, if only for another decade. What Tom Bakk is saying, without actually using the word, is that he wants to gerrymander Minnesota in 2021. There’s no way around it. The only way to preserve the political influence of an area that doesn’t have the population to merit that political influence is to gerrymander the district lines in such a way as to maximize the influence of the area. The thing is, according to the newly released American Community Survey numbers, the Iron Range doesn’t actually stand to lose that much influence. Below is a table with population numbers from the 2010 Census and the 2017 American Community Survey for the six counties that make up the Taconite Assistance Area of the Iron Range Resources and Rehabilitation board (as good a proxy for what actually constitutes the Iron Range as anything else). What you see is from the table above is that after the 2010 Census the Iron Range consisted of about 3.2 Senate districts and 6.4 House districts. According to the 2017 ACS numbers the Iron Range now consists of about 3.1 Senate districts and 6.2 House districts. That’s a decline of 0.1 Senate districts and 0.2 House districts, hardly anything that would warrant the drastic actions that Tom Bakk seems to think are required. The Iron Range has gone from being a reliable source of DFL votes to not being that. In 2010 Mark Dayton won the Iron Range by almost twenty points when just looking at the two-party share of the vote while at the same time he was barely winning statewide. Fast-forward to the last election and the Iron Range supported Tim Walz by just over a point while he won the state by almost 12 points. So what’s Tom Bakk doing here? I suspect what Tom Bakk means when he talks about preserving the political influence of the Iron Range, is preserving the political influence of his cronies within the Iron Range. Shortly after the elections last November I wrote a piece advocating that the DFL work with Republicans to establish an independent redistricting commission ahead of the 2020 redistricting cycle. Since that time the highest ranking DFLer in the state Senate has gone on-the-record as pro-gerrymandering, meaning that the likelihood of an independent redistricting commission has gone down while simultaneously growing in importance.